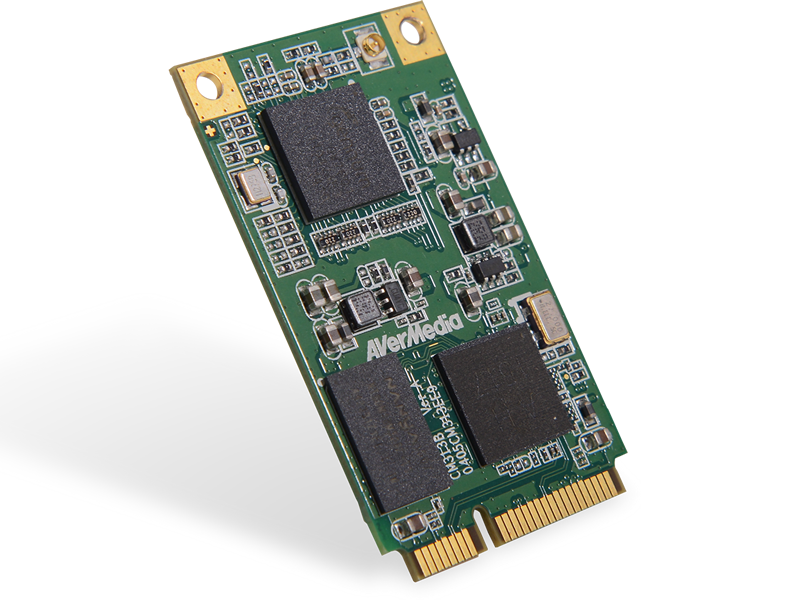 The CM313B is a Mini PCIe HW encode video capture card which supports a single 3G-SDI input providing a nominal 2.970 Gbit/s interface for applications requiring HD 1080p video resolution. The CM313B enables professionals to capture SD, HD, or 3G-SDI video footage in real-time 3G-SDI Video Input. Designed with 3G-SDI standards (SMPTE 424M), the CM313B offers uncompressed, H.264 digital video signal transmission, including embedded audio and supports input resolution up to 1920 x 1080 60fps. The SDI standard provides a nominal 2.970 Gbit/s interface specifically suited for applications such as in-vehicle, broadcasting, and surveillance. 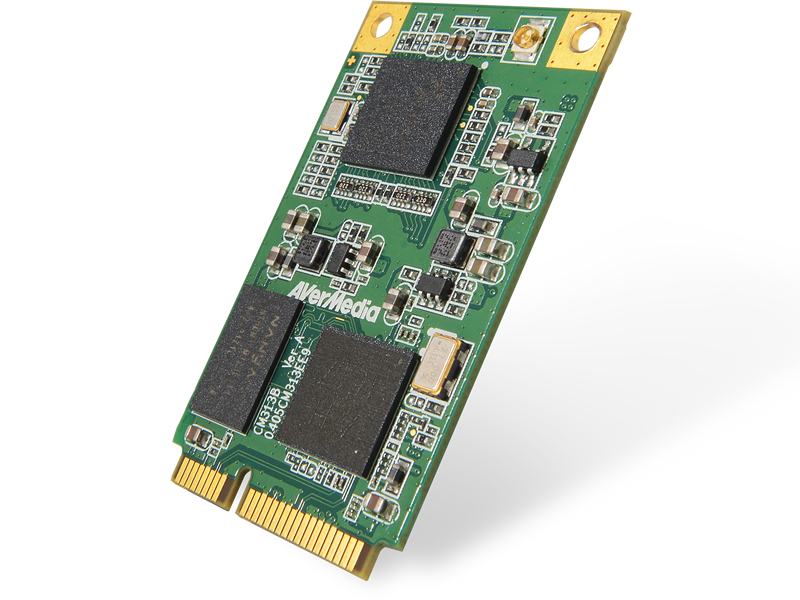 CM313B Mini PCIe video capture card supports real time mega pixel video images from any standard 3G-SDI onto a computer. , enabling professionals real-time streaming, video production and post production of live uncompressed 8-bit SDI SD-, HD- and 3G-SDI capturing up to 1920 x 1080. Featuring dual data output formats, the CM313B can simultaneously uncompressed raw data and compress H.264 H/W TS maintaining a low CPU loading. The CM313B is a complete analog capturing solution supporting features to meet professional applications, available with a flexible SDK for easy and seamless integration. 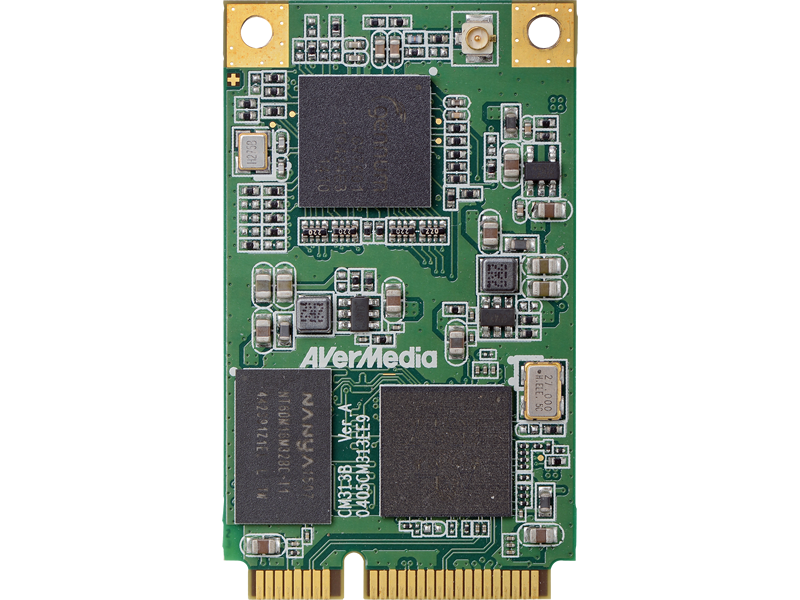 The CM313B provides robust support for high-quality capture and playback of multimedia streams on Microsoft Windows & Linux platforms. The extensive list of supported third-party software, based on the DirectShow & V4L2 architecture, incorporates greater flexibility into an already solid digital capture solution.